While volunteering in Lithuania you probably should take a relaxing weekend trip to this little charming spa town. Did you know that there are two cities you can live in while volunteering in Lithuania? Lucky for you both Vilnius and Kaunas are just short of a two hour bus ride from Druskininkai, Lithuania (this cute spa town). Pst: Get more about volunteering in Lithuania, here. 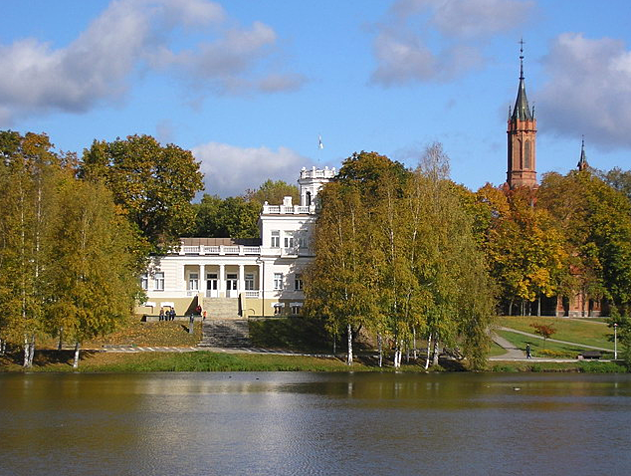 Druskininkai is a fun little town which will be a perfect weekend trip for you ILP volunteers. There are gorgeous churches to explore, a beautiful lake, cable car rides, spas to relax in, and more. Even if you don't visit a spa there is still a ton to do in the city. From Vilnius and Kaunas, it'll take about 2 - 2.5 hours to get you there. You can see specific bus schedules and times and amounts on this website. Prices tend to be around 8-9 Euros for a one-way ticket. If you are visiting Druskininkai at a warm time of the year, take some time to stroll through the parks and people watch, or pack a picnic and enjoy lunch on the grass. This is a wonderful place to go for a walk, go swimming, or rent bikes and ride around. You can also find a playground, memorials, and a cemetery at this park. Gruto Park is really interesting and has quite a few things to do. A rather eccentric man began collecting Soviet Era propaganda and statues and has arranged them for you to walk through. You can also check out the mini zoo and a playground with some really awesome swings you've never seen before! If you want to mix things up check out Uno Park! It is an adventure park with things like ropes courses, in the air bridges, and more. This is our pick for parks: The basic entry ticket is 16 Euro with an ISIC card (17 euro without) and then you can pay for additional adventures (usually around 9 euro). That website has loads of info about prices and other tips if you click that link and select the Druskininkai park. 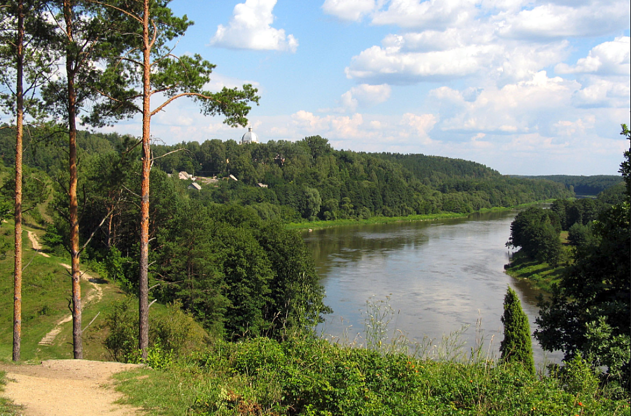 There are also Uno Parks in Vilnius and Kaunas if you'd rather not visit on vacation. One of the best parts of any trip is the food! Druskininkaihas great restaurants and cafes to eat. This is one of the most popular restaurants in Druskininkai and for a good reason. Their food is delicious and the staff is super friendly. You will be able to find a great mix of European and Middle Eastern food here. Make sure you try out the hummus plate! A French inspired cafe and bakery. There are a ton of delicious pastries, cakes, muffins, and more. A lot of it is only a Euro, which makes it a nice quick and cheap treat to grab on the go. Hours: 7:00 AM to 8:00 PM, Monday through Sunday. 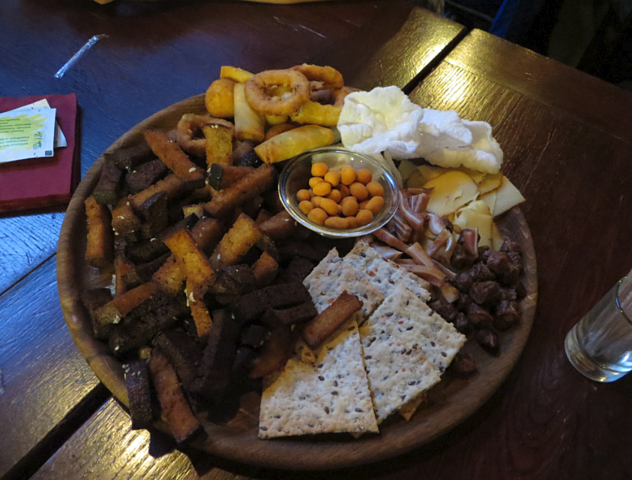 If you want to try authentic Lithuanian food make sure you visit Forta Dvaras. With the traditional Zepelinis, potato pancakes, and other delicious things you will get a real taste of Lithuania! Hours: 10:00 AM to 11:00 PM most days, 10:00 AM to 12:00 AM on Friday and Saturday. You're in a "spa town" so consider checking out a spa or two! There are A LOT of options in Druskininkai so do some research before you settle on one. Even though the spa treatments are affordable compared to typical spa treatments in America, it can be a bit pricey, so keep that in mind ... but you get a lot for your money. At Spa Vilnius, there's a 300+ minute spa package for only 77 Euros. Not cheap, but not bad. Here's a quick list of spas to check out: You can find their prices for spa treatments online and decide if you want to indulge yourself at all, plus some other bits of info. 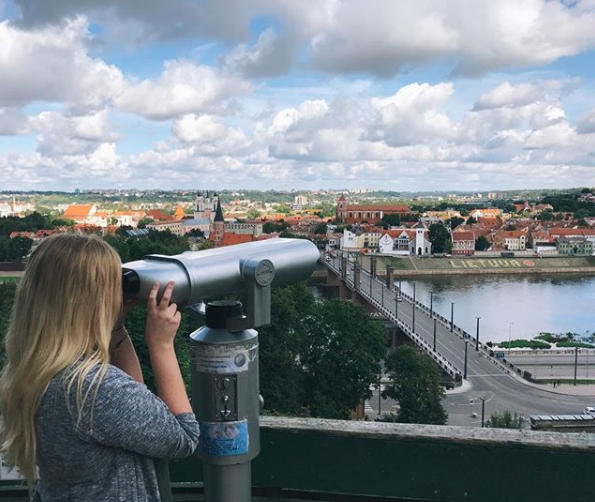 While you serve abroad in Lithuania you will also be able to travel throughout the country you call home, plus have weekends off and vacation days to vacation in other European countries. You'll be traveling with a group, so you won't be alone — Together with your ILP group you can see amazing countries you've always dreamed of; places like Paris, Rome, Athens, Warsaw, Kiev, Helsinki, Estonia, Riga and tons more. Click the button below to learn more about Lithuania, the fun kids you can teach, and all the amazing things you can see! A semester volunteering in Europe will seriously change your life (and it's more affordable than you think).